While Donald Trump used Tuesday’s deadly attack in New York to promote immigration restrictions, a remarkable consensus continues to hold in Canada, evident in the response to the government’s announcement that nearly 1 million newcomers will be welcomed over the next three years. Immigration minister Ahmed Hussen said late Wednesday 310,000 new entrants will arrive next year, 330,000 in 2019 and 340,000 in 2020. In response, Conservative immigration critic Michelle Rempel complained about the Liberals over-promising and under-delivering on the immigration file, pointing to a backlog at the Immigration and Refugee Board, a lack of mental health services for Yazidi women, wait times for permanent residency for caregivers, and an uneven spread of immigrants across the country. But crucially, those complaints were about management of the system by the Liberals, not the significant uptick in numbers. In a world where the U.S. president is pushing to step up “extreme vetting,” where even countries like Germany and Denmark with a reputation for being havens are turning against immigrants, Canada is a notable, noble outlier. As Andrew Griffith, a former senior bureaucrat at the department of Citizenship and Immigration, notes in a new paper for the Washington-based Migration Policy Institute, Canada’s successful immigration policy has its roots in the country’s history and geography. 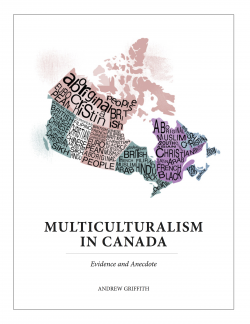 “The ongoing creative tension between groups (English, French and Indigenous peoples) produced a culture of accommodation central to Canada’s ability to absorb and integrate newcomers. Further, the widely held perception among Canadians that immigrants are an economic boon and cultural asset to the country has made public opinion on the subject generally resilient, even as sharp backlashes have unfolded in the United States and Europe,” he wrote. The polling bears that out. In fact, fewer people are concerned about immigrants not adopting “Canadian values” than at any time in the past 20 years, according to a major study carried out last year by the Environics Institute. The study said 58 per cent of Canadians disagree with the statement that immigration levels are too high, compared with 37 per cent who agree. Views on the issue in Quebec reflected the national average. It said 80 per cent believe the economic impact of immigration is positive, compared to just 16 per cent who disagree. And it found 65 per cent think immigration controls are effective in keeping out criminals, up from just 39 per cent in 2008. Since the major liberalization of immigration in the 1960s, when Canada abandoned race-based selection criteria and paved the way for the country’s current diversity, there has been a consistency about the broad parameters of immigration policy, regardless of which party has been in power. Since 1995, immigrants admitted under economic preferences have consistently accounted for half or more of newly arrived immigrants. The OECD’s migration outlook survey suggests the Canadian system is successful at attracting some of the world’s best and brightest. In 2014, 260,400 permanent residents were admitted, and more than half of the 25-to-64 year olds in that group had completed post-secondary degrees. The employment rate for foreign-born men was higher than for native-born men. None of that is to suggest that the system is not used as a source of electoral fodder — particularly by the Liberal Party. While the Conservatives reduced family-class immigration and increased economic immigration when they were in power, new programs introduced by the Liberals threaten to reverse some of that progress. In the last election, the Liberals campaigned on prioritizing family reunification, granting points under the Express Entry system to applicants with siblings in Canada and doubling the number of applications allowed for parents and grandparents. There was plenty more political pandering — watering down language requirements, lifting Mexican visa requirements and reducing the residency requirement for citizenship from four years to three. The Trudeau Liberals’ emphasis on rights over the responsibilities promoted by the Harper government — and the prioritization of diversity over Harper’s insistence on shared Canadian values and history — paid electoral dividends, shifting the allegiance of a number of visible minority communities toward the Liberals. Yet the changes were at the margins. Both governments adhered to the distinctly Canadian model of integration, based on broad agreement about the way immigrants are selected, settled and melded into society. The demographics defy partisanship and both Conservatives and Liberals have tried to offset the effect of an ageing population, where the working age to retired ratio is set to fall from 6.6:1 in 1971 to 2:1 by 2036. Beyond the economics, there is a common approach to integration. Griffiths notes that as far back as 1959 in Statistics Canada’s Canada Year Book, integration was defined as being clearly distinct from assimilation — it provided for the retention of cultural identity. The niqab ban in Quebec suggests the debate on accommodation is not resolved. But it is easy to lose sight of the fact that Canadians are broadly at ease with mass immigration to this country, even as it has resulted in a country with one of the largest foreign-born populations in the world.